According to Lumina Foundation, the U.S. needs to educate nearly 800,000 more college graduates each year from now until 2025 to meet the growing needs of the workforce. 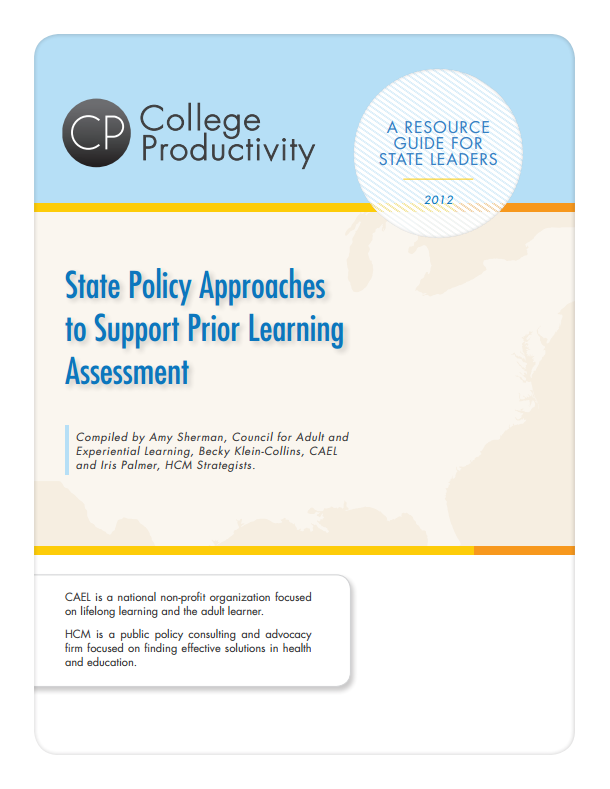 This guide is intended to serve as a resource for state leaders who wish to promote PLA policy, whether through new higher education policy or through legislation. It includes background information on PLA and why a state- or systemwide approach can be helpful, and more.